Jess Houlgrave is the Co-founder and COO at Codex Protocol, a decentralized registry for art and collectibles backed by an industry consortium. She graduated with a degree in Economics and Management from Oxford University and went onto join Credit Suisse, and then a Canadian pension fund where she managed their European private equity infrastructure investments. After this she did an M.A. 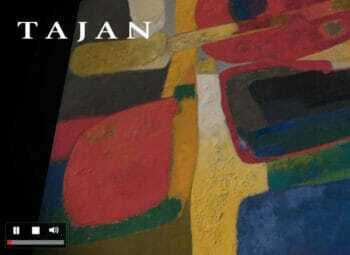 in Art Business at Sotheby’s Institute of Art where she researched the uses of blockchain technology within the art ecosystem. 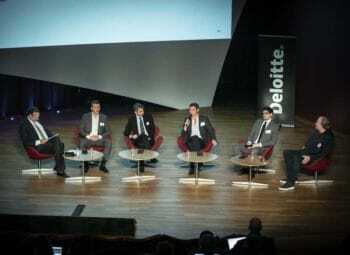 Houlgrave has spoken at crypto and blockchain conferences all over the world. Hi Jess, it is great to have you back for another interview on ArtMarketGuru, a lot has happened since we last spoke. First of all, just briefly for those who do not know, what is the purpose of Codex Protocol? Can you please describe Codex Protocol ecosystem? At Codex, we believe there is immense room for growth in the USD 2 Trillion arts & collectibles asset class as investing in tangible, fine artworks and collectibles becomes more accessible, and the value of each piece becomes better understood. By bringing trust and efficiency to the ecosystem, Codex Protocol will ensure more buyers acquire the objects they desire, more sellers receive a fair value for their items, and more intermediaries grow their revenue. With provenance information accessible and private, there is an opportunity for the industry to expand, as services like appraisals, asset-backed lending, artist royalties, insurance, fractional ownership, bidding, escrow, and more become available. The Codex Protocol ecosystem includes applications addressing these use cases. Before you went into art and technology you studied finance and economics. How do you see these sectors now crossing over? Art, finance, and economics are interrelated in new and exciting ways thanks to technologies like blockchain. 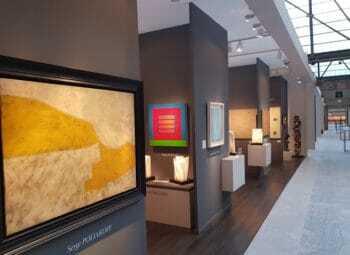 Collectors are increasingly taking on the profile of sophisticated iiddablenvestors who recognize that Arts and Collectibles are an important asset class for a well-diversified and healthy portfolio. Buying any asset whether it’s a financial instrument or a valuable collectible involves assessing risk and at Codex we believe blockchain can help buyers and sellers make better judgements regarding risk because they will have higher quality information. 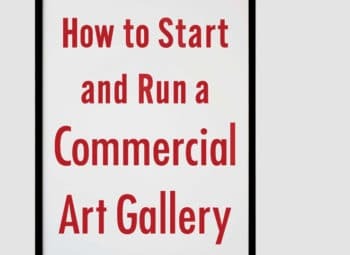 With this in mind, new opportunities are opening up for investing in art, like fractional ownership and digital collectibles made scarce by tokenization. Communities and industries can now collaborate with decentralized information that enables micro-economies, ecosystems, and “tokenomics” to emerge. You mentioned in a previous interview that one of the things you were most excited about was to work with artists. What have artists reactions been to Codex Protocol and what are some of the most interesting you have worked with so far? The relationship between artists and technologists is symbiotic. Artists can provide the critical mirror needed as we’re developing technologies and at the same time make new technologies accessible to a broader audience. Having diversity in technology is something I’m really passionate about. 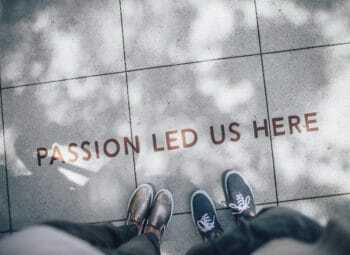 That’s why we created the Foundation for Art and Blockchain at the start of this year. So far, we have held an auction of blockchain related work at the Ethereal Summit and have been working on the #ArtProject with Jessica Angel which will be exhibited at the Vancouver Biennale in 2019. 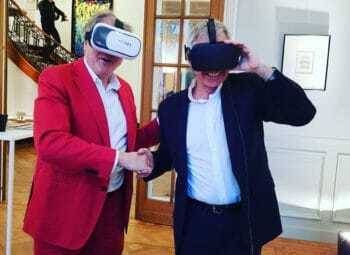 We have several other exciting partnerships with artists underway – it’s great to have such interest in Codex. What are some of the difficulties you have faced? There is strong interest in blockchain technology and cryptocurrency, but the technology is nascent and there are many uncertainties. Our focus is on listening to our community and our consortium of industry stakeholders to ensure we can navigate these challenges. You launched the Biddable dApp earlier this year. Can you talk us through it, what are the benefits of using it? Biddable was launched by Codex Labs this year and provides an instant and private alternative to the status quo registration and approval process for buying arts and collectibles from auction houses. It is a deposit-escrow system wherein cryptocurrency deposits are escrowed from the buyer and the seller. This enables bidders to prove their intention to pay while maintaining privacy. Today, this dApp is live and embedded in auction house bidding software, LiveAuctioneers and will be adopted by many of our other partners including Heffel Auction. I understand that you have decided not to launch Sellable. Why? We’ve prioritized Biddable and Codex Viewer in the short term and will focus on building the ecosystem around these. Sellable will be interesting in the long term and we will see how and when this gets developed, whether this is by Codex or other developers. What are your views on CryptoArt and CryptoArtists? Do you think this kind of art could ever become mainstream? 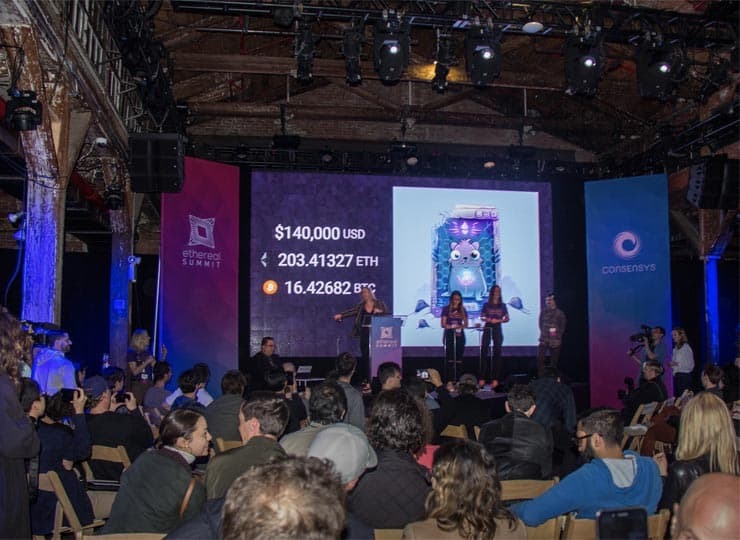 CryptoArt is already capturing the attention of the mainstream with prominent media coverage coming from the likes of The New York Times, Vice News, and Forbes, all who covered the results of the Codex + Rare Ethereal Art Auction where the record CryptoKitty was sold. 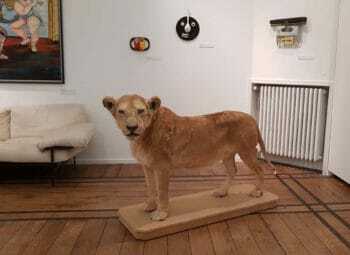 More recently, the record Kitty was seen onstage at Christie’s Art + Tech Summit. Notable million dollar price tags for the Kevin Abosch work ‘Crypto Rose’ and public installations of Jessica Angel’s ‘Dogethereum Bridge #ArtProject’, and other CryptoArt projects and have brought attention to the culture of cryptocurrencies. Artists are serving the decentralization movement by disseminating the ideas and heart of the technology. 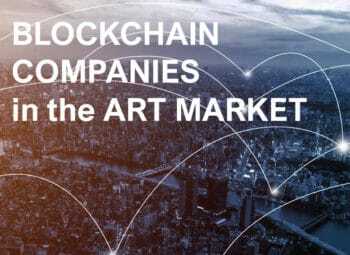 CryptoArtists play a vital role in driving adoption, and the blockchain community has continued to champion artistic expression and innovative solutions reflected in art, with many notable earlier projects. Will it become part of the cannon? Perhaps! 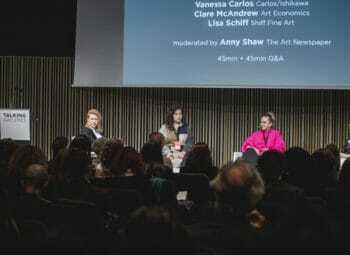 You spoke at the Christie’s Art+Tech summit earlier this month. A couple of the speakers accepted the great potential of blockchain technology but raised minor doubts about how robust the system is at this stage and the challenges with data privacy, cyber security, artificial intelligence, infrastructure and competition. What would be your response to these types of doubts? Whenever an organization adopts a new technology, it is important to look critically at the present and future implications and consider cybersecurity concerns, infrastructure costs, and how to best make use of data. In the past year, the technology community has seen immense growth with many new startups emerging to solve these challenges, alongside Fortune 100 tech and consulting companies eager to participate. The healthy competition we’re seeing is great for technology. For decentralized problems like supply chains, adoption and time to benefit is accessible and obvious to implement rather than centralized problems, like voter fraud within a government. 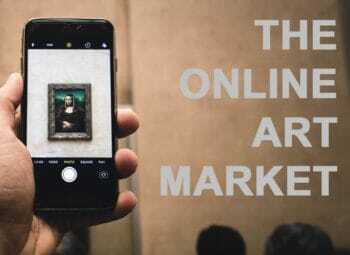 The art market, which has very decentralized and fragmented information, has the opportunity to showcase to the world that decentralized registries work and increase accessibility in the industry with more transparent. There is room for growth in an industry where there is trust and efficiency to be gained by validating standardized protocols. While there are skeptics, from what we’ve seen, there are even more believers and technologists who see a promising future for blockchain and art. Can you tell us anything you took away from the conference, or any valid issues you thought it shed light on? 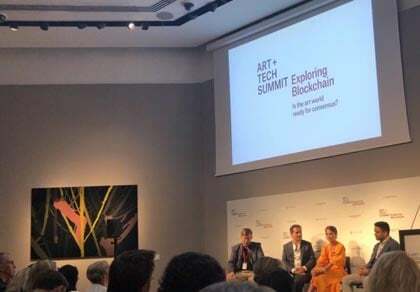 The conference was a significant moment in capturing the attention of many art world stakeholders about the developments in the blockchain space. 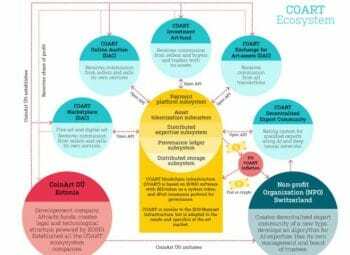 Right now, there are many people experimenting and working on how blockchain can be used within the ecosystem and that experimentation is important to ensure we make best use of the technology’s potential. There was an interesting tension between truly decentralized systems and systems which are effectively controlled by a single party. GDPR was identified as the “elephant in the room” at the Christie’s conference, what’s your take on this? GDPR is a complex subject which is proving a challenge for many businesses right now. It is important to understand what information is governed by GDPR and what isn’t and I felt that wasn’t represented well at the conference. At Codex, our account management functionality will have an option to “eject” data so the customer can own it. A blockchain doesn’t automatically cause GDPR concerns unless there is personal information added to it. In Codex the only thing exposed is a public wallet address. To associate that information with a person would mean that the customer willingly shared their wallet address and personal data.